This Easy Strawberry Cake recipe is deliciously creamy and full of sweet strawberry flavor. It is hands-down the best strawberry cake recipe I’ve ever made. If you’re looking for an easy strawberry cake recipe, this is it! 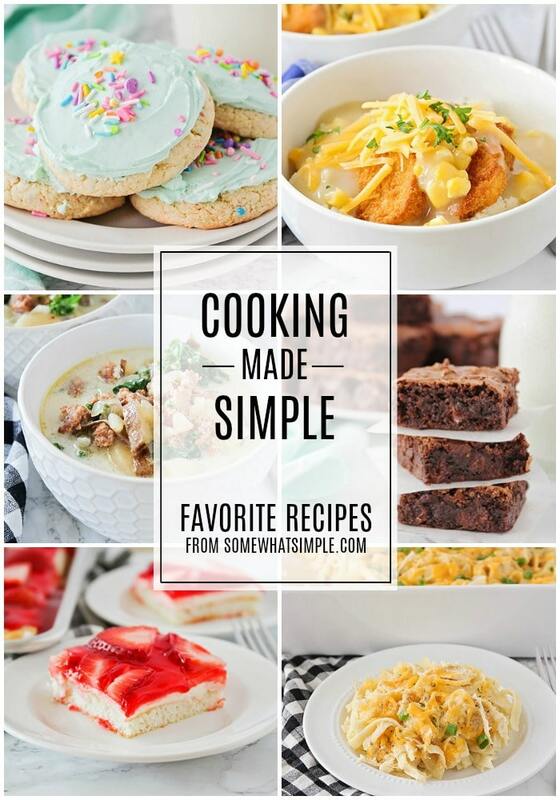 There were very few recipes I knew how to make when I first married my husband. Chicken Enchiladas, Lemon Chicken Primavera and Taco-Stuffed Pasta Shells were among the very few of my kitchen successes! 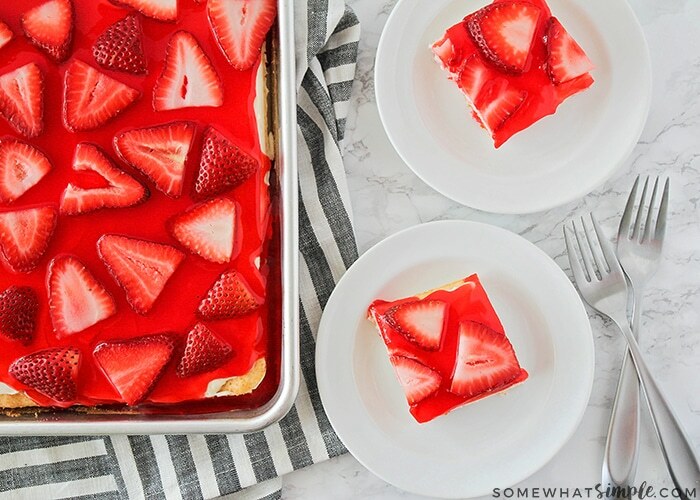 Sometimes I wonder why we didn’t wither away and starve, or how my husband could handle all my failed food attempts… but then I am reminded about this Strawberry Cake from back in the day, and suddenly it all makes perfect sense! Fast forward nearly two decades later and we are still indulging on this favorite treat. 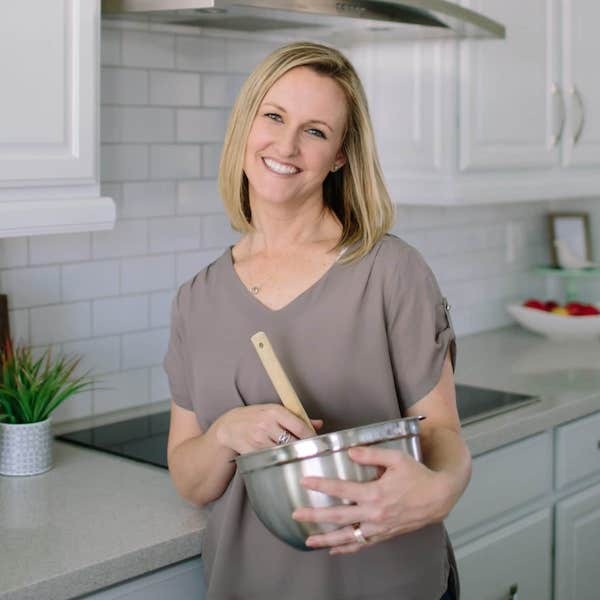 Simple Shortcut – While many homemade strawberry cake recipes call for a fluffy cake layer that often needs to be practiced for perfection, this recipe comes with a major shortcut! 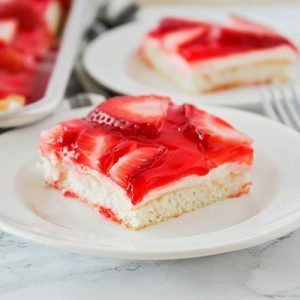 With all the flavors and layers in this delicious strawberry cake, you can shave off some serious prep and baking time by using a box of white cake mix. No really. You’ll still make a delicious cream cheese frosting from scratch, and you’ll cut up some fresh strawberries by hand, but save your sanity and save some money by using a boxed mix. This Strawberry Cream Cheese Cake is not only the most delicious strawberry cake recipe, it is also the easiest! 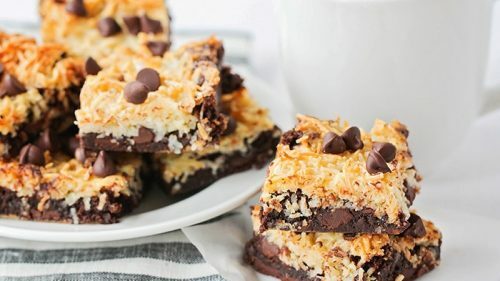 My college roommate got this recipe from her mom and we all agreed: it was love at first bite! 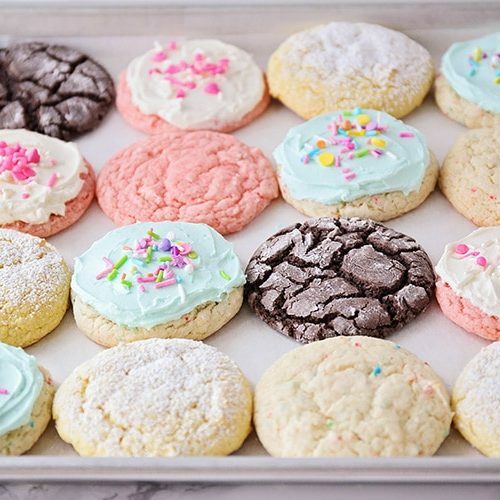 WARNING: If you’ve ever had a love affair with a certain baked good, this recipe will be dangerous! My roommates and I made it several times that year of living together. The four of us would sit around with forks in hand and just eat it straight from the pan! 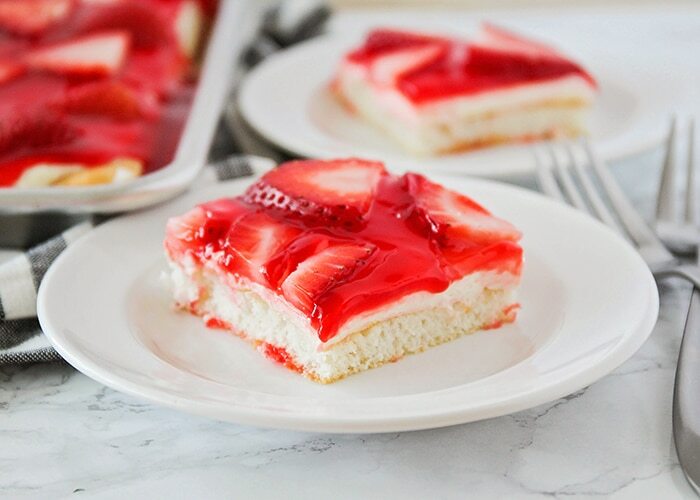 The last layer of this delicious strawberry cake is some fresh strawberries! Not only do these strawberries add a fresh taste to this strawberry cake, but they also make it look so pretty! 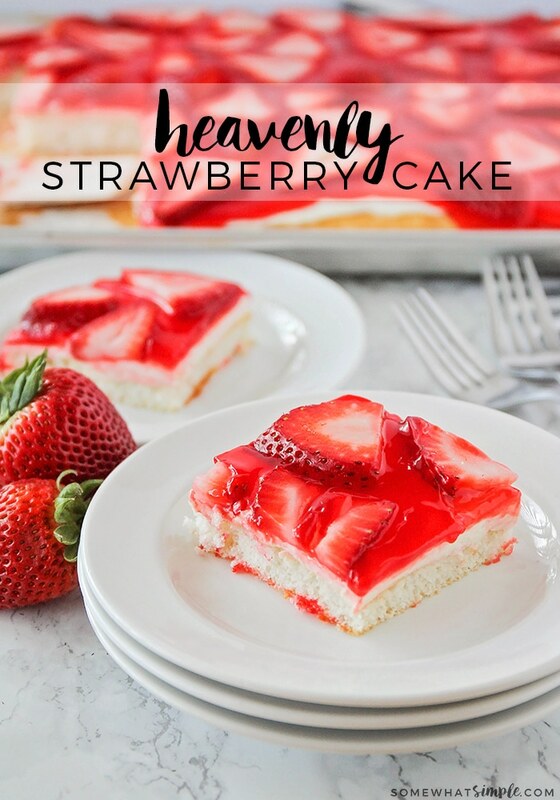 Everything about this homemade strawberry cake is fantastic – it is easy to make, it uses very simple ingredients, and it is perfect for entertaining and can feed a crowd! Every time I have ever made this cake, it has disappeared extremely fast! This Easy Strawberry Cake recipe is deliciously creamy and full of sweet strawberry flavor. It is hands-down the best strawberry cake recipe I've ever made. If you’re looking for an easy strawberry cake recipe, this is it! Preheat oven to 350. 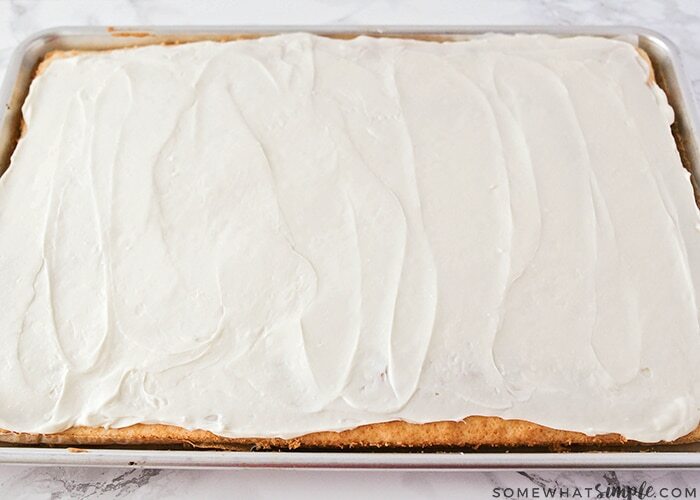 Grease a sheet cake pan/ cookie sheet. 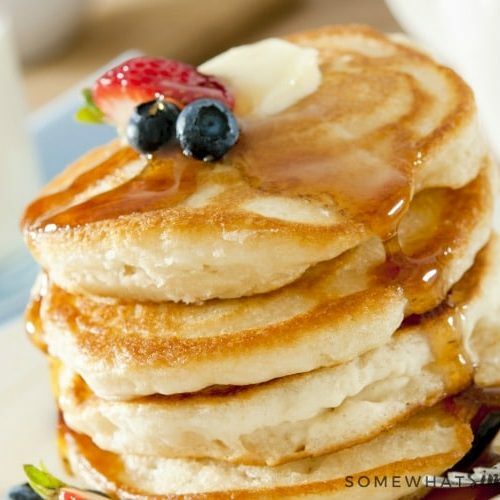 Mix cake mix according to package directions, using the specified number of egg whites instead of whole eggs. Pour cake mixture into pan and bake for 20 minutes, or until cooked through. Let the cake cool completely. Mix cream cheese, powdered sugar and vanilla with electric mixture until well blended.Set aside. Wash strawberries and slice them into halves or thirds. 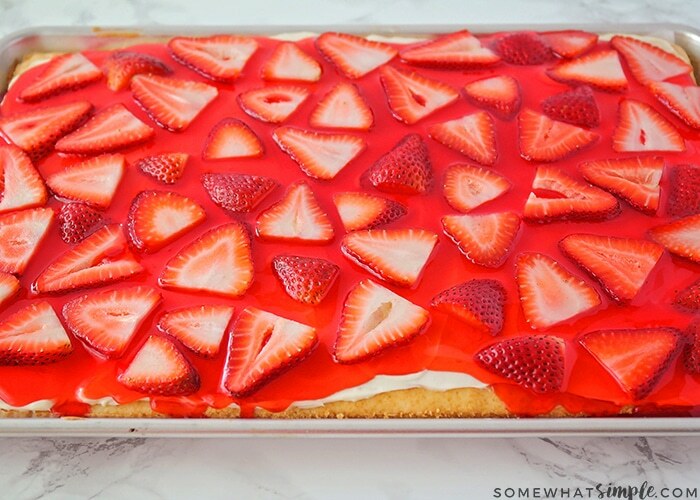 Spread the cream cheese mixture on top of the cooled cake, then layer the strawberry glaze, followed by the slices of strawberry. This strawberry cake is both fluffy and creamy. Grab a few of your close friends, give them all a fork, and enjoy a slice right off the pan! I’m just wondering if any white cake mix will be ok? Or do you use a pudding -in -the- mix kind? Thx! I am intrigued by your recipe and will try it very soon. How generous of you to give everyone such a favourite. You must be wizard at making it by now! I was very surprised to read that no one seemed to know what junket is (Danish Desert). I guess I am showing my age here, in Australia during the 1950’s and 60’s it was a common desert for children. Junket tablets were available in most supermarkets. It was one of those deserts that sit in the fridge until you need it. Junket tablets are made from flavouring and rennet which curdles and sets the milk. If it can’t be found you could buy a flavoured jelly mixture and make it up with milk, as a substitute. It will give you a history and explanation. Thanks for sharing this recipe , I made it last night and it is an amazing dessert. I could not find the Danish Dessert so I used a Sweet Lava Strawberry Glaze I found at Walmart in the produce section. It worked perfect. 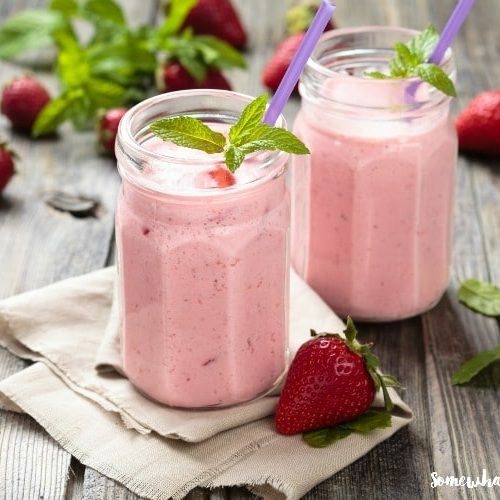 I used about 4 cups of fresh strawberries I sweetened with Splenda. i drained the juice off and mixed with the glaze. I also added 12 oz container of Cool Whip to the cream cheese mixture; folded it in once mixture was creamy. 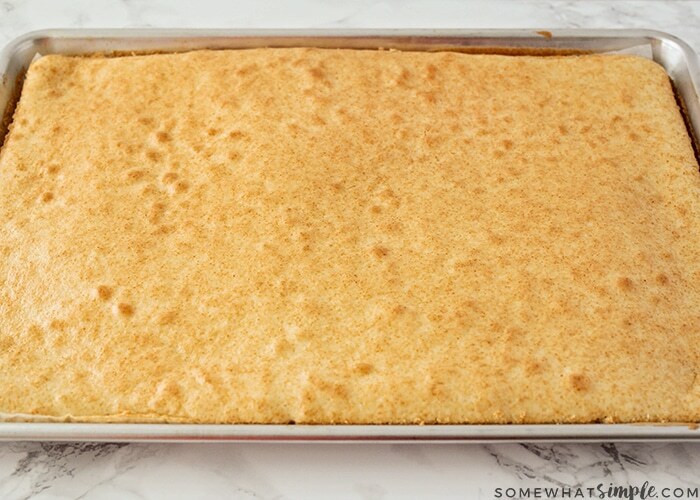 I used Pamela’s Gluten Free Vanilla Cake mix. Hi Susie, I have used that glaze too and it tastes great! 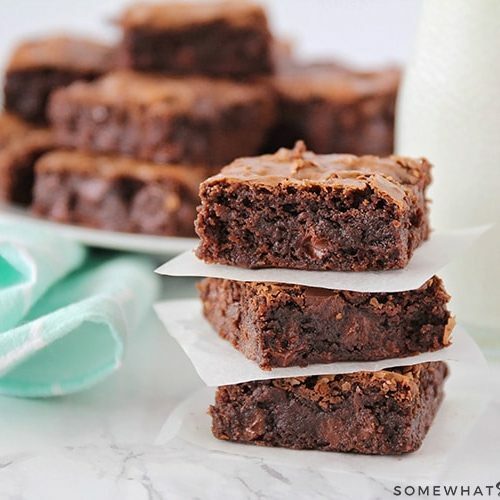 I am glad you like this recipe- it will always be one of my favorites! This was delicious! 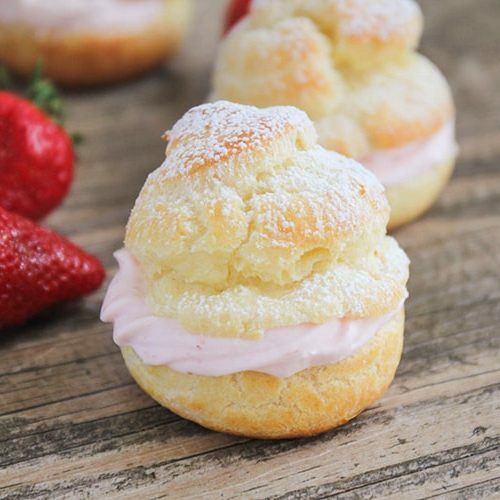 I’m always looking for new desserts with fresh strawberries. I just thought I would let everyone know we have danish dessert in Wisconsin at Festival Foods!!! 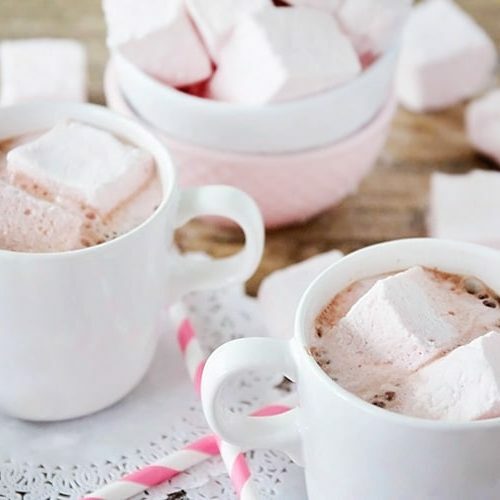 This looks heavenly! AND the fat that my husband isn’t a sweets fan, means I’d have the whole thing to myself! Looks devine! Yum! My family loved it! Thanks for the recipe! I love strawberries, especially this time of the year. This cake looks soo good! Since it has strawberries that has to make it healthy right? I am off to get some! This is great! I saw Danish Dessert at a local store (in Seattle) and wondered what it was good for. I will have to try it out, and if you want, I could ship some to you! That looks amazing!!! Thanks for the new cake reicpe. I found your blog on my friends blog. I love your ideas. I have made the same cake but with raspberries. I live in AZ and at one point I found the danish desert at Albertson's. I am not sure if they still sell it. Also, check Bashas if you haven't yet. I love this cake. It is so dang good. Now I'm hungry. I think you could follow any glazed pie recipe to make the glaze and use it. It's usually just sugar, fruit with some syrup and water, and corn starch.